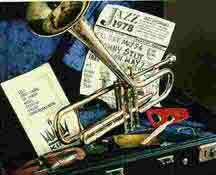 " A 22 piece jazz ensemble that knows how to really cook"
Switch In Time Jazz Ensemble / Big Band is available for public and private engagements. Switch In Time offers a 22 piece jazz band with 3 vocalists, a full time director, Masters of Ceremony and our own sound technicians. The band provides all of the sound equipment and technical knowledge for putting on a show. Surprise someone you love with an anniversary gift of music and have Switch In Time provide the music at your anniversary party. Businesses, looking for unique entertainment for your next seasonal party or annual convention? Look into having Switch In Time provide the entertainment your employees deserve. Local governments searching for music for a community day or summer festival? 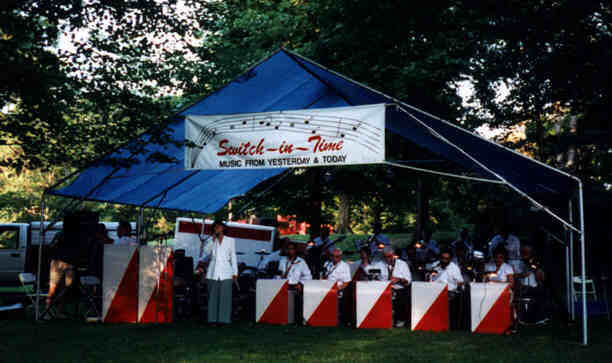 Switch In Time has been there for many public shows put on by towns of the Hudson Valley. Professional organizations looking for entertainment for your fund raisers or dinner dances? What an excellent way to bring in the patrons with a live Jazz Band! Booking can be negotiated with Switch In Times General Manager Ralph Buono at 914-471-9548. He will be pleased to offer suggestions on making your event one that you can remember for years to come.